Boston is known to brick and Brownstones (Jurassic sandstone which was once popular as building material). But the city is began to appear a more modern sheen and city centers are now extending down to the harbor. 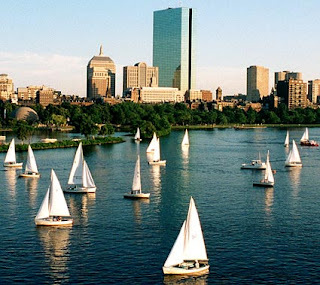 Boston is now like a new city but its history is rich not just memorable, it together with the enthusiasm of a high-tech, modern garden and a reclaimed harbor. In this historic city, not every day a new neighborhood built from scratch. An industrial area on the edge of South Boston is slowly being transformed into centers of fashion, art and food. You can visit the Institute of Contemporary Art at 100 North Avenue, which is a glass and steel museum or shopping in LouisBoston at 60 North Avenue, a high-end stores. Boston is not just about baked beans and oysters. As cities become more diverse, culinary also affected. A case in point is at 1746 Washington Street. This is a Senegalese restaurant that opened last year on a busy road at the southern end. Been to Teranga, you'll find an elegant space with brick walls and a bench. The restaurant is suitable for those who like spicy and sweet dishes such as NEMS, spring rolls filled with vermicelli. There are many places to see live music in Boston, but if you want an intimate and quiet atmosphere just come to The Beehive at 541 Tremont Street. This is a restaurant with low lights and a cool band to fill the void. Before you go, you should see the bathroom walls are decorated with intricate hand painting. 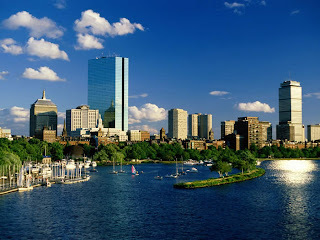 Once defined the city center with an elevated steel highway but now there is Rose Kennedy Greenway, a green belt which has a length of many miles. The line was filled with green grass, and a playground. To explore this emerald oasis, you can start from South Station to the North end and be sure to stop at the water fountain. At Christopher Columbus Park, you can find a spot under a wisteria tree to see ports of ships and planes taking off from Logan Airport. For a cozy atmosphere, you can go at 75 Chestnut 75 Chestnut Street. Tucked in a romantic street, this restaurant in a blur of light with tin ceilings and mahogany pillars.